A hearty stew that is loaded with beef, sausages and black beans. Serve this with Brazilian Cheese balls or warm tortillas. 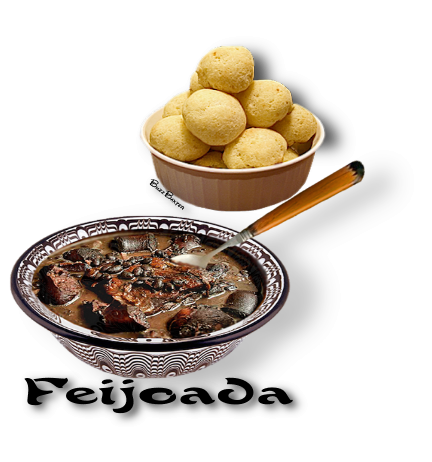 A true Brazilian or Southern European comfort food. Canadian bacon, simmer covered, 30 minutes, or until beans are tender. mixture, stirring occasionally, for 5 minutes. ⅓ cup of reserved tomato liquid, and salt and pepper to taste. 4. Serve the stew with the cheese balls or tortillas.